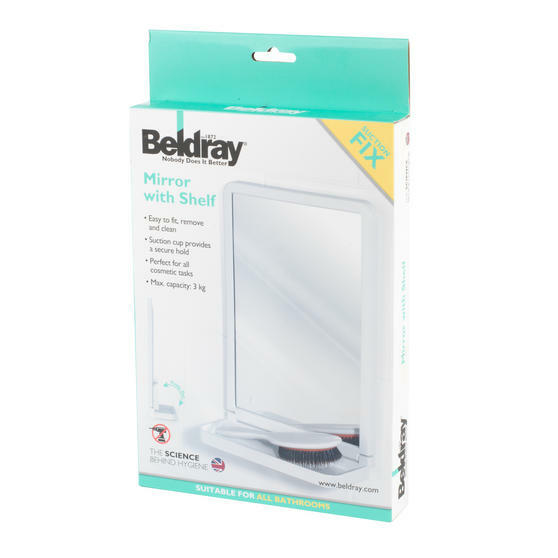 This Beldray suction mirror is an essential bathroom accessory, featuring a built-in shelf with space to store your hairbrush, toothbrush, shaver or makeup. 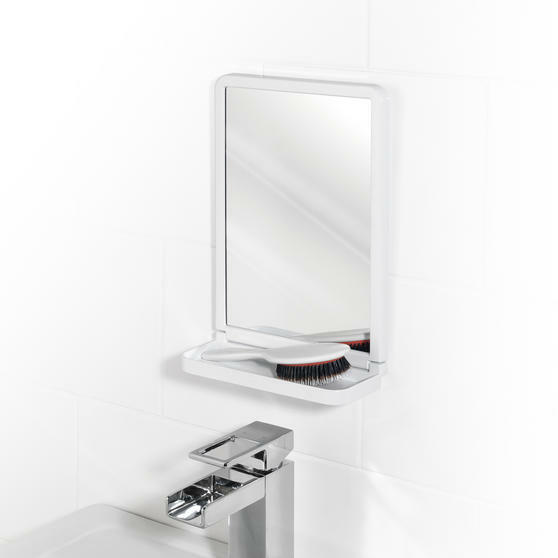 No tools are needed for installation, so there will be no damage caused to your expensive tiling with drilling, simply attach the mirror to a smooth wall surface and the suction cups will provide an incredibly secure hold near your sink. Easy to fit, remove and clean, the mirror will remain in place and will look great in your home. Ideal for your home or for taking on your travels, this Beldray suction mirror is easy to attach and comes with a handy shelf. 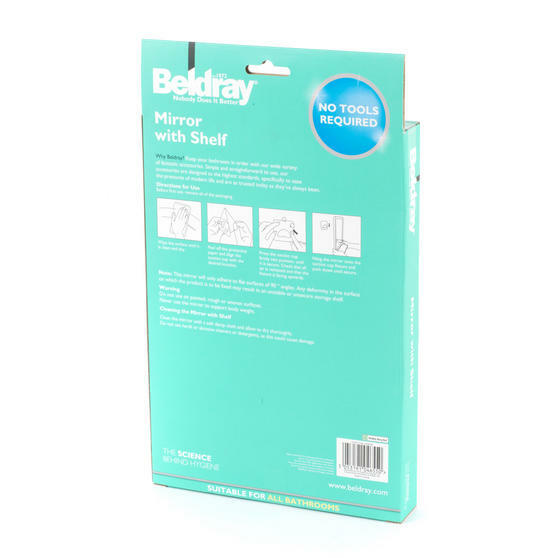 There are no limits to where you can place the mirror; with two strong suction cups you can easily move it around your bathroom. Measuring 29.9 x 20 x 8.7 cm, it is brilliantly portable so you can use it on holiday or take it camping to enjoy a bit of luxury. 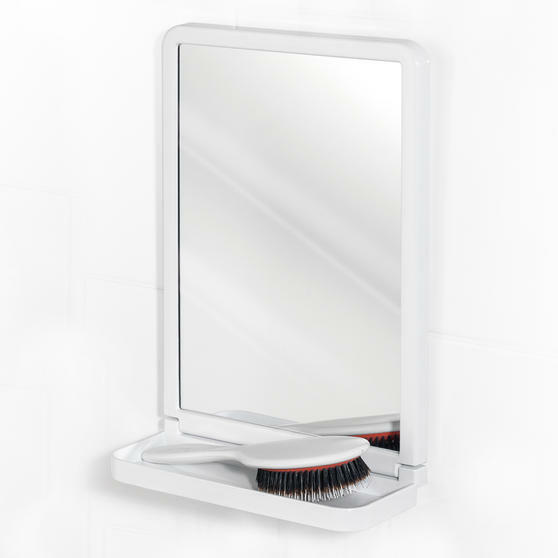 Perfect for all cosmetic tasks, the mirror features a foldout shelf to store makeup, hair accessories, toothbrushes or shavers. Cleverly designed, it takes up minimal space and has fantastic suction so that you can always look your best for the day ahead.